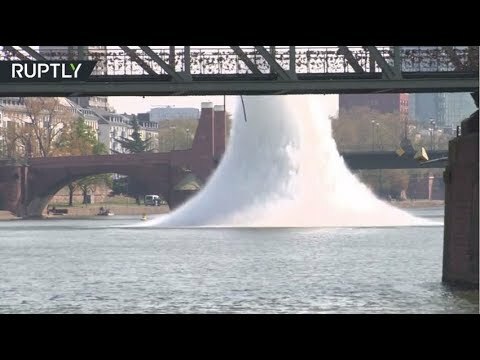 ‘Gift’ from the past: US WW2 bomb detonated in Frankfurt river | We Seek the Truth! American bomb weighing 250kg, which had been dropped during World War II, was detonated by specialists in the River Main. Around 600 people were evacuated from the vicinity of the controlled explosion, which happened at a depth of around six meters, causing a surge of water to fly up from the river’s surface. It’s a bird… It’s a plane…It’s a corgi on a paraglider!